Goodness, I've gotten hooked on heirloom plants, and daffodils and hellebores can be some of the more confusing ones when it comes to correct nomenclature for these old beauties. But hey, it gives me something to work on when the skies are gray and the wind is cold. And fortunately for me, the daffs and hellebores (aka Lenten roses) are just starting to put on a show. I know for a fact that the daffodil above, 'Minor Monarque', is its true name but that's only because I bought it from Old House Gardens! This one can bloom very early, but so far it is not reliable for me on the bloom front. Its leaves are always the first to come up, usually in December, but that means they often get nipped by freezes. The name of this tazetta type of daffodil is unknown to me, though I'm thinking it might be 'Grand Primo'. I rescued the bulbs from an old farmhouse a few years ago. You wouldn't believe how many daffodils were growing at this place - it was awesome! I have a few pics from the rescue here. Although my garden journal, which is simply a Word doc that gets recreated each year, is over 30 pages long, I don't have a record of planting these 'Trevithian' daffodils in that spot. (Arg, I'm just terrible at documenting where I finally find a place for bulbs - I need to quit buying/rescuing them!) 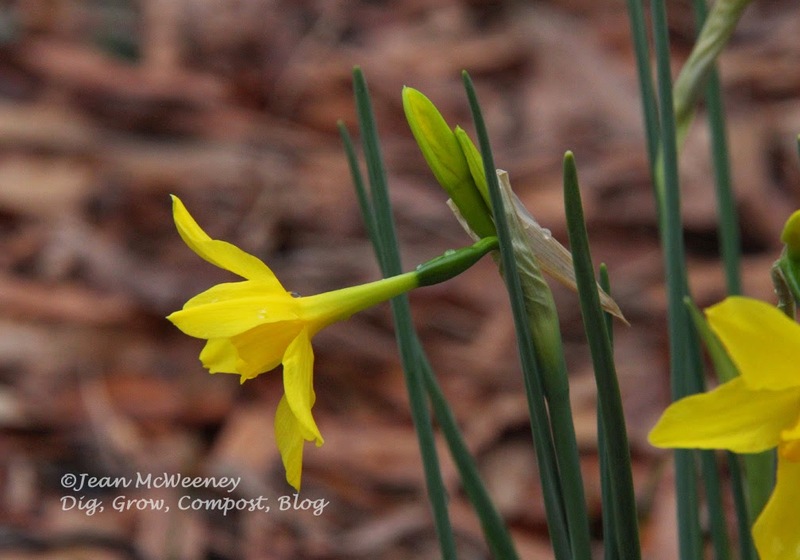 I hope you can at least see that these daffs get at least 2-3 blooms per stem. And they're a very deep yellow. 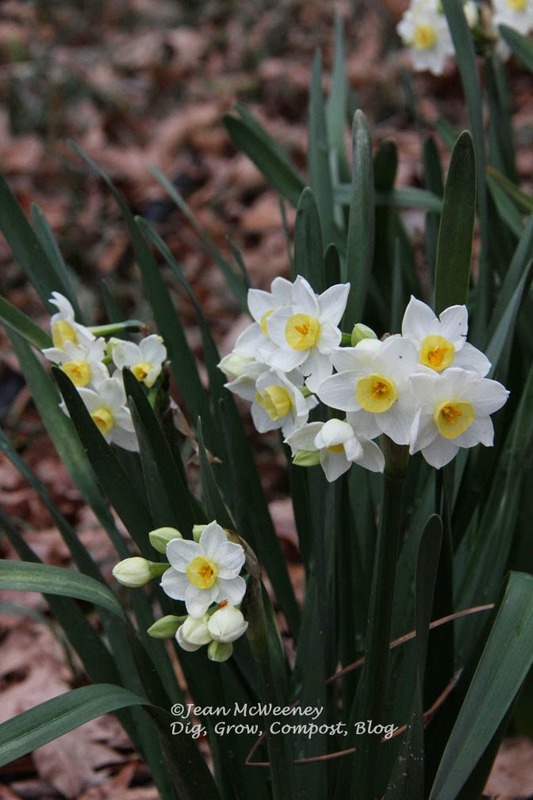 I got these little jonquils from Celia Jones, an expert in all things narcissus and its nomenclature. Author Greg Grant says they are a natural cross between N. jonquilla and N. tazetta. These grow wild along Interstate 20, and they're just about the only wildflowers the state will let grow there for some strange reason! 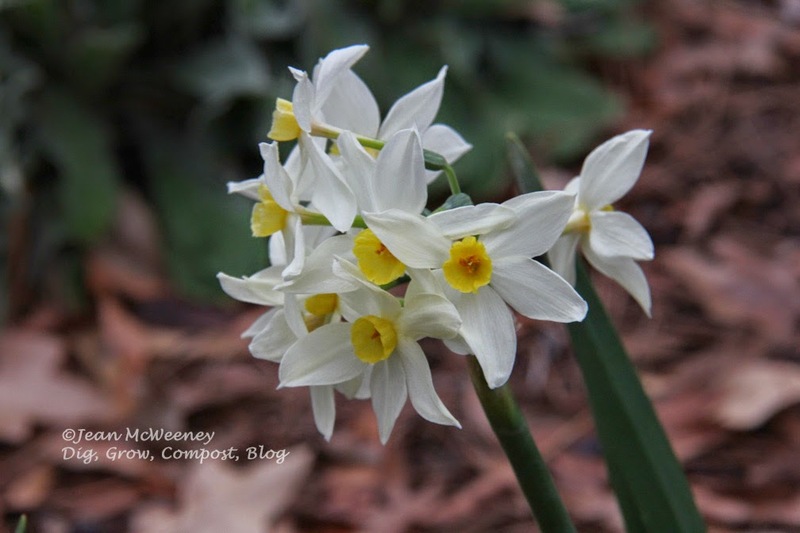 The front corner of my yard is planted heavily with 'Ice Follies' daffodils (the story of how I got them is in the aforementioned blog post here). They're usually blooming in March but this guy couldn't wait. What I'm really liking about this patch of daffodils is the fact that other daffs are starting to bloom there now, not just 'Ice Follies'. One last daffodil - the old classic called butter and eggs. I know this is the correct ID since I bought this from Old House Gardens. 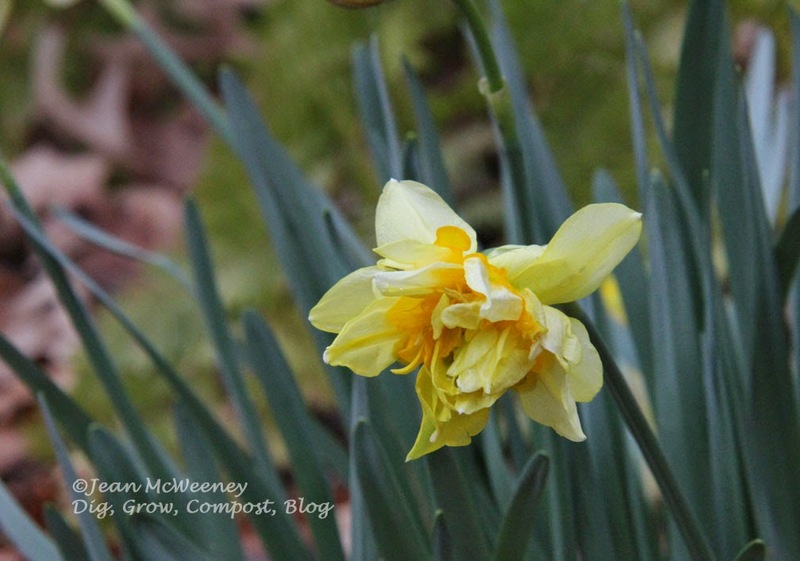 They say "buyer beware" when it comes to this one since many double daffodils are called by this name. More daffodils and other bulbs will be blooming shortly, yay! 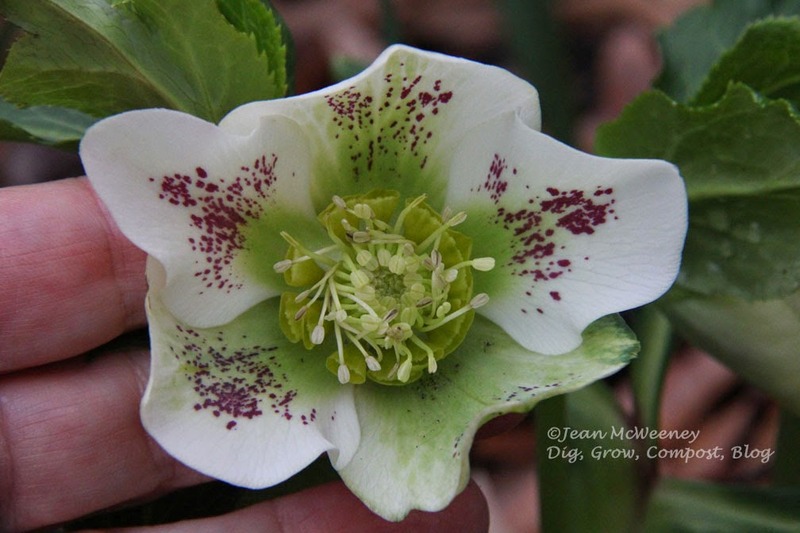 I've blogged about Joker hellebore before. I can't get over how many blooms, upright ones at that, are on this plant. It's not an heirloom (far from it) but it's a keeper. I bought this cute little pink spotted hellebore at a passalong sale that my Master Gardeners group had last fall. It obviously didn't need much time to settle in before blooming. 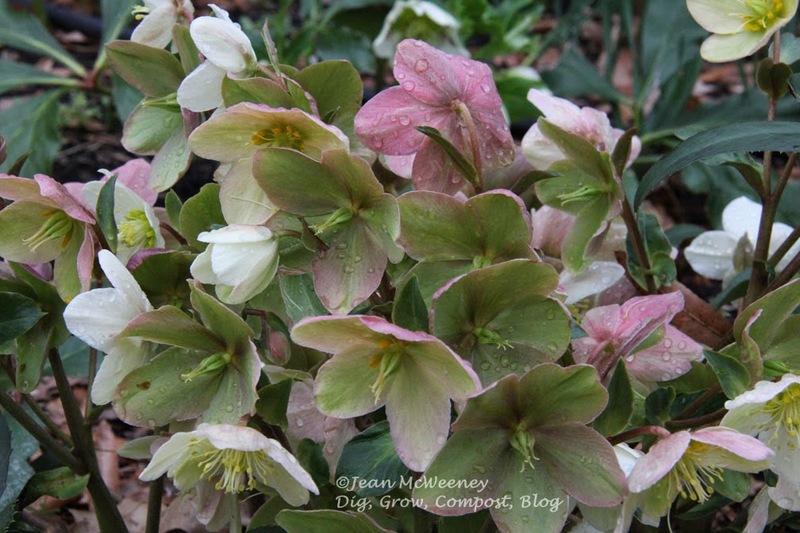 The sometimes confusing thing about hellebore varieties is that they frequently hybridize without any help from us. Even though I have this urge to classify any plant I see, I'm okay with unknown hellebores because they are so darn easy to grow and bloom for several months. So there's my dip into the sometimes confusing world of daffodils and hellebores. Chin up folks! Spring will come. It always does! Love your daffs and hellebores. They are both among my very favorite plants. 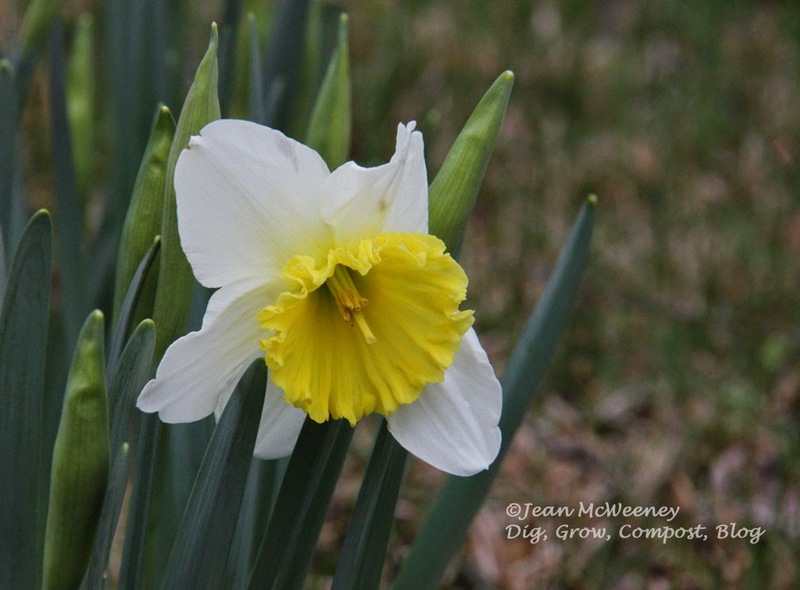 I don't have any of your daffodil varieties - it's amazing how many there are out there. I laughed when I read what you write about the nomenclature. I wrote my piece for the Statesman about them a few years ago and it was so hard to try to explain jonquils, narcissus, overlap and the botanical inconsistencies/discrepancies for newspaper readership when I couldn't even follow it all myself. Ha. My last few posts have been my hellebores, see here: http://bit.ly/17beIf9 I have two new ones that I just came in from photographing - I'll post about them tomorrow. I've started collecting both of these spring beauties. It's so fun to see yours and discover brand new ones. Love that butter and eggs daffodil. Ha, yes, I'm not surprised you could commiserate Diana! 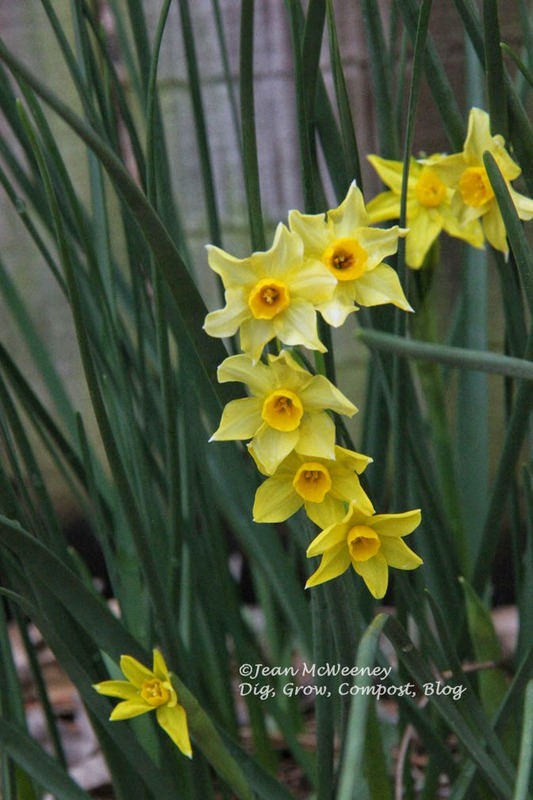 You should have seen me checking botanical names when I worked at the garden mags - daffs were a nightmare! 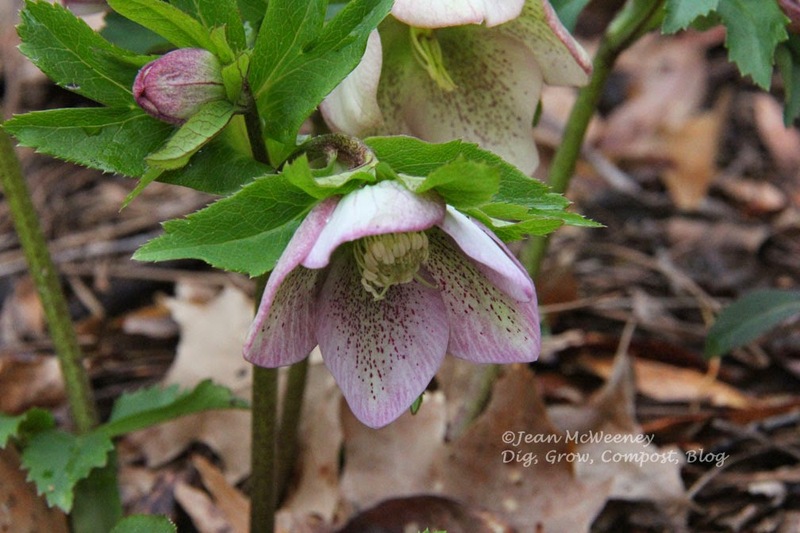 BTW, the picotee hellebore that I thought of when I wrote about them was once of yours! That 'Phoebe' is really pretty but I do really covet that 'Stained Glass' one, Diana! Well heck, I like all of your hellebores! Where do you buy them? Love seeing your signs of spring. Can't wait for mine. I agree, it's easy to get hooked on hellebores, Dawn! I am so so jealous of your hellebores. Beautiful. I'm a bulb nut myself and will add a few of yours to my list! But like you--argh!--after a few years I can't remember which ones are really where despite my notes. Lovely, all the same, and your pictures are gorgeous!